I love coming home to the sight of this. It's like Christmas morning. I Absolutely love hgh. Its packaged so well and looks like alot of time is put into it which means they take pride in their products. 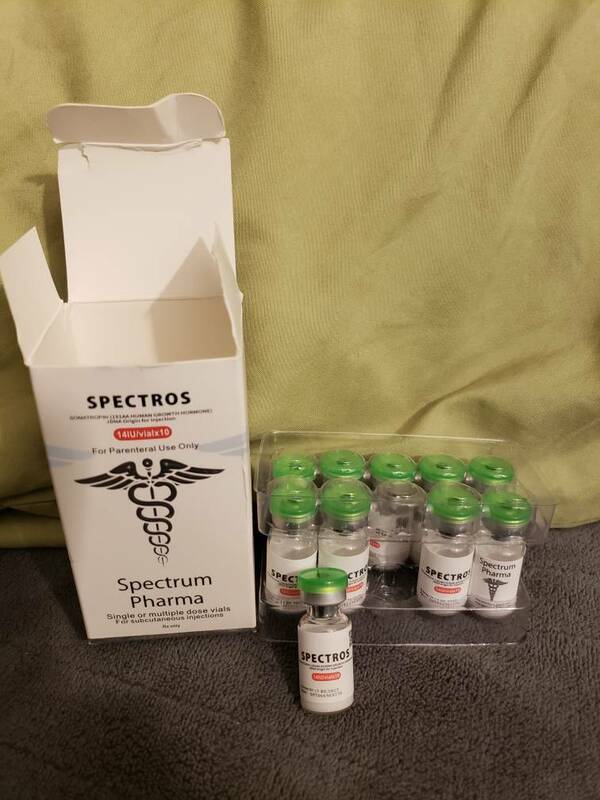 Spectros is 140iu and if it's anything like the ZPtropin hgh then there is no worries and I'm pretty excited. Also had to stock up on the AI. 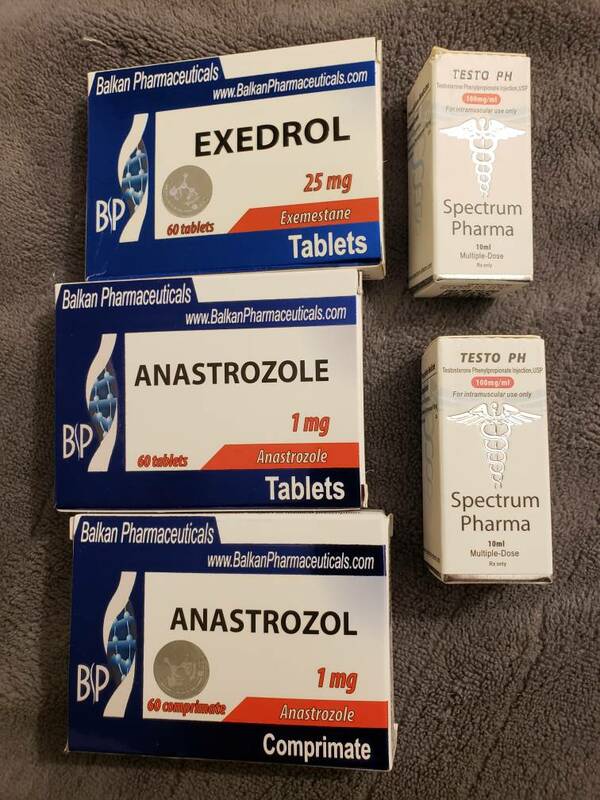 Balkan and ZPHC is only brands I use for AI cause I dont have the time to mess up a cycle cause its underdosed or fake. That's one thing I dont have to worry about with roids24. My bloodwork speaks for itself. Hgh serum and igf coming soon. I've started the spectros hgh. So far so good. Been doing 5iu ED for past 4 days. I'm going next week to check igf to see where it's at. Im not going to bother with hgh serum cause I know it's real. I never had issiues with roids24 hgh. My basline is 138. I'm treating them as advertised so I add 14iu of water to each vial. Figured guys would want to see. Been running spectros for 7 days and pulled igf. Gunna go again in a week or 2 to see if levels are still raising. Was doing 5iu ED. I wouldnt expect nothing less from roids24. You get what u pay for.